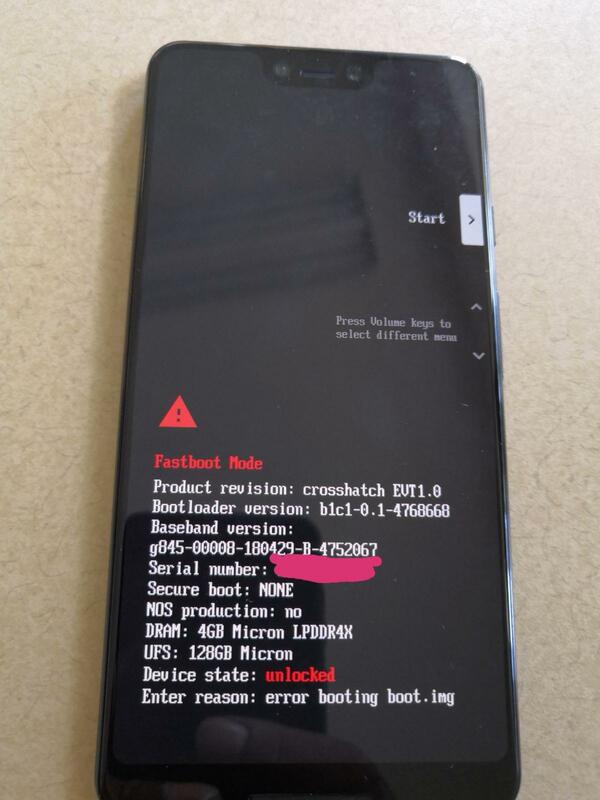 That funny logo on the back is likely just an engineering watermark to obfuscate the prototype, but the codename 'crosshatch' in the bootloader is correct based upon what we know. We've been unable to verify the authenticity of these images with our own sources, so take them for what you will, but I'd be pretty surprised if we're not looking at Google's next phone here. Other things that can be gleaned from the images? 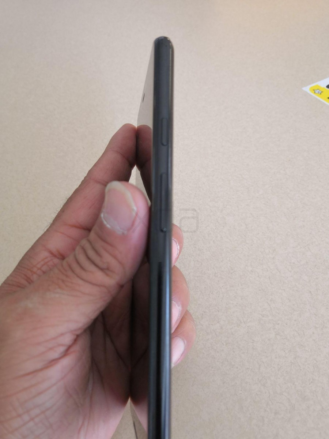 That's quite a substantial chin on the screen which, yuck, but it does look like we're keeping the stereo front-facing speakers (the edge of the bottom speaker is just barely visible). 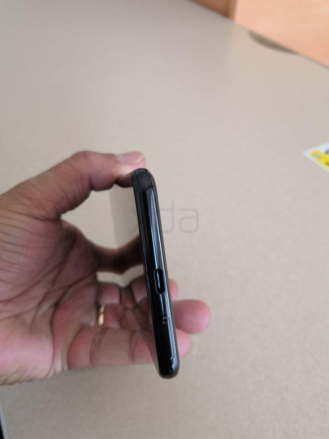 There are two front-facing cameras and I, for one, am hoping this is a sign of a Google-developed version of Face ID for secure unlocking. Existing face unlock methods on Android are all not considered secure enough for things like mobile payments, but since we know support for secure face unlock is coming to the OS, I wouldn't be surprised to see Google debut such a feature on its next smartphones. 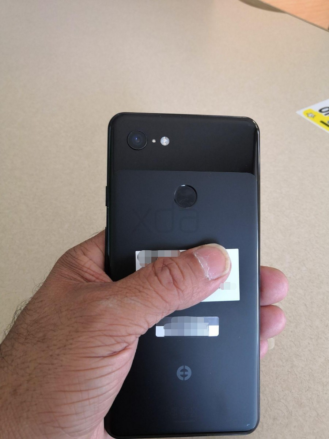 The fact that Google is sticking with a single rear camera is interesting - I'd personally welcome a telephoto-style lens to augment the capabilities of the primary camera, though given the Pixel 2's wide advantage in still images, I bet Google's going to find ways to wow us with a single camera on the new phone. 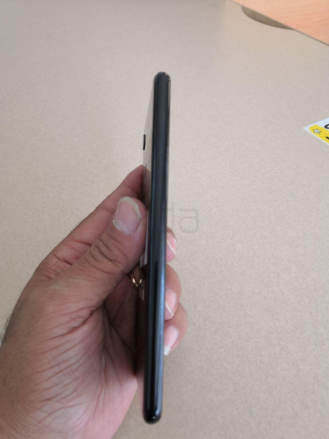 The original poster has provided XDA Developers with some more images of the supposed Pixel 3 XL prototype, and we can now see the phone from all angles. 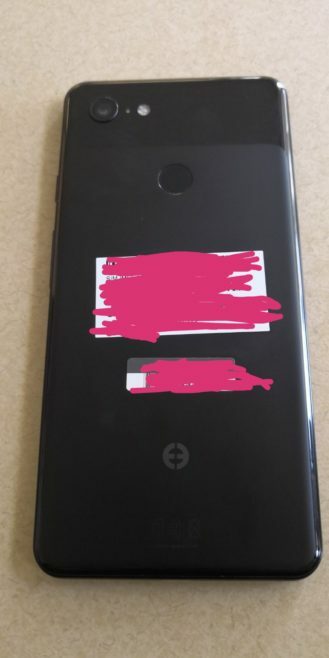 It looks possible that the whole back is glass (for wireless charging perhaps) with a similar soft-touch coating to the current Pixels covering the majority of the rear. 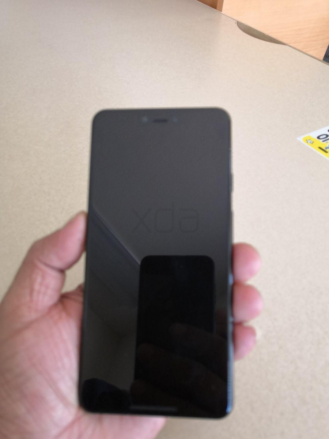 The new image of the front is rather blurry, so we can't learn anything new from it. From the images of the sides, we can see that the material is definitely different, and appears to be a shiny metal. The power and volume buttons are in much the same place as before. 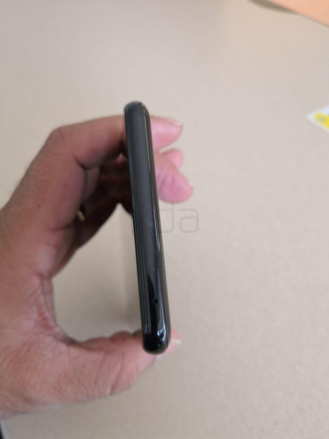 There's no headphone jack on the top or bottom once again, and the SIM card slot has moved from the left side to the bottom next to the USB-C port. 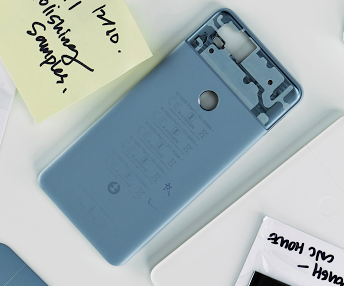 One other development is that 9to5Google may have shed more light on the logo we see on the back of this prototype. 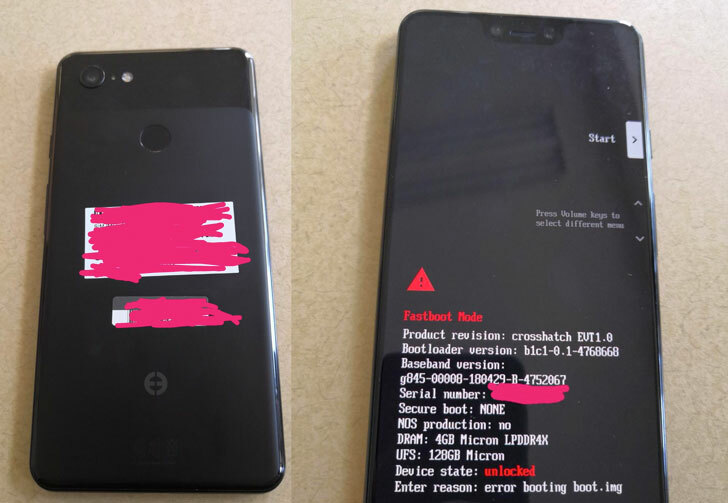 In an interview with Google's hardware design lead Ivy Ross on the company's The Keyword blog, an image of Pixel 2 prototypes shows a phone with a similar logo (below) to the one we see on this Pixel 3 XL. It's not exactly the same, as the loop is closed on one edge, but it's enough to reasonably suggest that this is something Google would do. That's about all we know for now, but further leaks are likely not far away.